The company is a chief Bricks Making Plant (RBM-10) Manufacturer, Exporter, and Supplier in India. 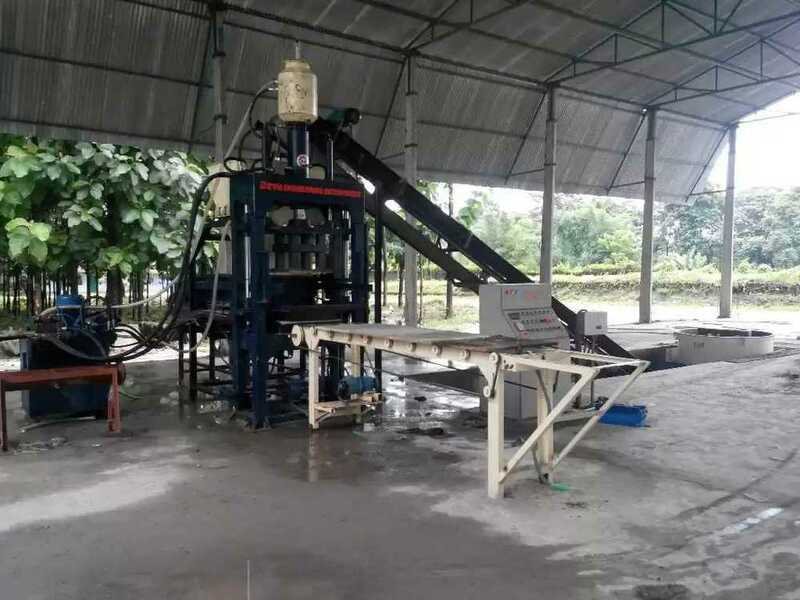 The Bricks Making Plant is a Fly-Ash/Concrete Brick Making Plant, which is a fully automatic machine. The Bricks Making Plant is acclaimed by the worldwide clients for its superb efficiency and long working life. 1 No. Ã¢â¬ÅRevaÃ¢â¬Â pan mixer having capacity of 300 Kgs. fitted with 2 Nos. heavy C.I. rollers, fitted with changeable bottom wear plates fitted with mixing and discharge blades, having special alloy steel tips, complete with quality worm reduction gear box of Roto-Reva powered by 10 H.P. electric motor of Kirloskar/Crompton/Havells make with starter. 1 No. Ã¢â¬ÅRevaÃ¢â¬Â belt conveyor for loading and unloading the material of the pan mixer, and powered by 2 H.P. electric motor of Havells/Crompton make fitted with quality gear box with starter. The conveyor is fitted with rubber top nylon conveyor belt and is moving on frictionless idlers. 3 Nos. Ã¢â¬ÅRevaÃ¢â¬Â pallet trucks are fitted with pneumatic tyres and manual dragging arrangement with lift capacity of 1000 kgs.